Been waiting for Boxee Box (by Dlink) forever. CNET has an article about it early this year. They said Boxee Box should be available by second quarter of 2010. Perhaps they mean by end of June? No one knows about its availability yet and it’s always been vague. I hope I don’t have to wait for another year for it. In case you don’t know what Boxee is about, I will fill you in with a little information. 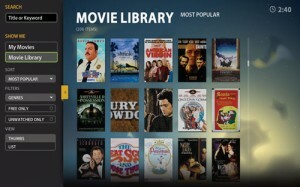 Boxee is a media center that’s similar to WD TV, CinemaTube..etc. Currently, it’s software only and you can download it onto your computer. It’s based on the popular XMBC (that was build for the original XBox). So, it has a very solid base that’s it’s built upon. You can download it free and it runs on various platform including Apple TV. It has many features which will make you drool. Give it a try. 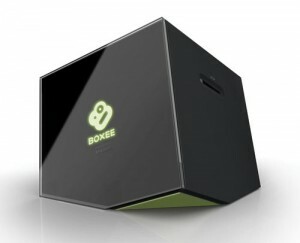 How does Boxee Box compare to other alternative such as Tvixbox, WD TV, CinemaTube? It’s all about the user interface. Again, Boxee is based on XMBC (which was a fine piece of software already), its interface is clean, responsive and intuitive. The expansibility aspect of Boxee really stands out. To name a few, you can run Netflix, web browse, online radio, news site, Twitter, Facebook with very minimal effort. It’s a great piece of software. I can only hope this project will remain active and of course stays free. Download and extract lightbox in your web root folder assuming all necessary files are extracted under the /lightbox directory. Note that there may be multiple places where you need to modify depending on your theme. You may want to search for keywords such as “child.id” that’s within the anchor tag (“<a href=…”). Also note that if the /thems/<your theme>/templates/local directory does not exist, you will have to create it and copy both theme.tpl and album.tpl over. Voila! Your Lightbox integration is done. Entries (RSS) and Comments (RSS). 35 queries in 0.077 seconds.